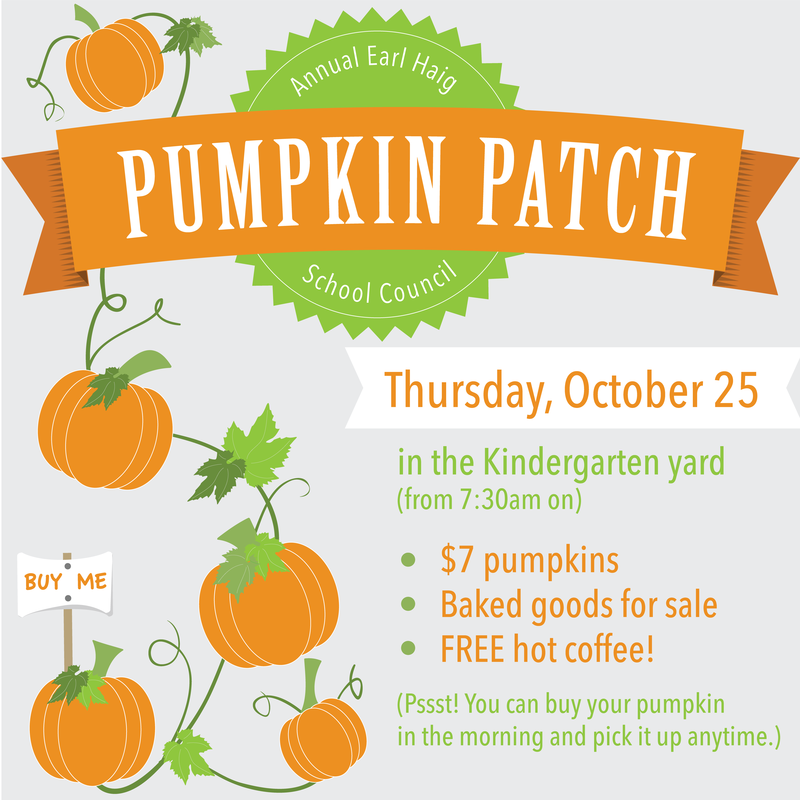 Just a reminder that we are turning the Kindergarten play yard into our very own pumpkin patch tomorrow morning. We will have pumpkins of various sizes for sale ($7 each), and yummy baked goods and jars of honey up for grabs, too. Please note, the event is cash only. For your convenience, pumpkins can be purchased at the sale and picked up at the end of the school day. It looks like it will be a chilly morning, so be sure to warm yourself up with a hot cup of FREE coffee at the pumpkin patch, too. As always, all money raised helps fund school and education initiatives for Earl Haig students. Next Next post: Happy Halloween, Earl Haig!